5 star artiste, Kcee, has provided an answer to a question constantly on the lips of many – ‘How did E-Money make his money?’. The ‘Limpopo’ master said his brother, who is filthy rich didn’t engage in any negative hustle to make his money. “He was my manager but along the line he came to me and said ‘I want to leave this thing because you and I cannot live this way and die in this, I need to go and hustle something else.’ and then he left and went to school of freighting and forwarding and he’s into real estate. 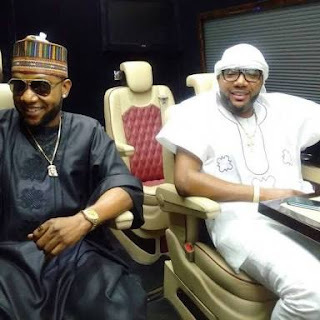 If you come to Omole (Lagos) you will see many properties he has sold, the one we’re living in,” Kcee explaining to The Net when asked what E-money does for a living. He insisted that he and his brother were making their money legitimately and he advised those who constantly inquire about his brother’s wealth to focus on making theirs. He said, “We worked for it. We grew up in Ajegunle… we were born like every normal person, we’ve not duped anybody, we’ve not done anything negative. “Instead of people asking how did he make his money, you all should think of how you will make your money. “Even if the person is doing shady business, like Kidnapping, they will catch him one day like Uncle… you know. (Evans). If we’re doing anything negative, Father expose us In Jesus Name,” he added.